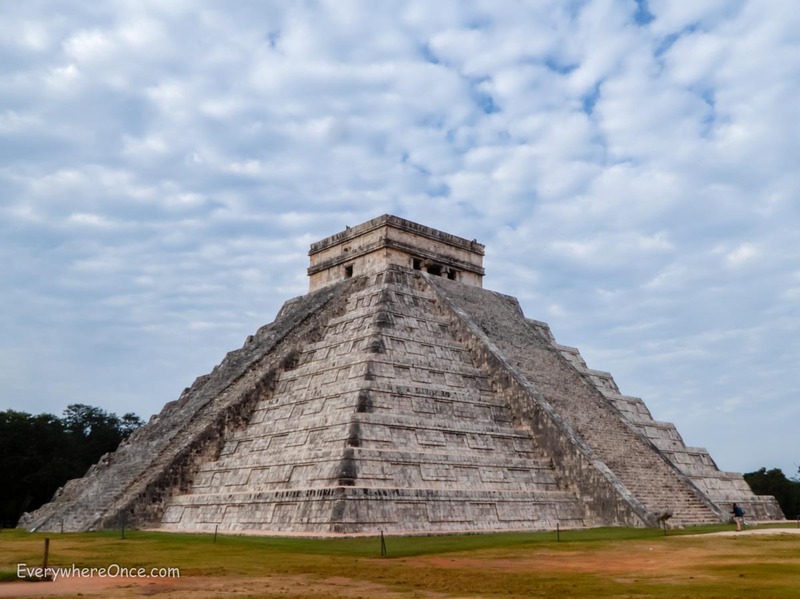 Once one of the largest cities in the Mayan world and quite possibly one of the seven mythical locations of human origin, the ruins of Chichen Itza lies within a totally day-tripable 2 hour bus ride from Cancun. That proximity to cruise-ship central also makes it one of the most visited archaeological sites in Mexico. With that in mind, we planned our visit with the intention of arriving early enough to beat the hordes. So we booked a room at the Villas Arqueologicas Chichen Itza; a hotel located within walking distance of the less-utilized southern entrance to the park. We found the hacienda-style hotel quaint, comfortable and clean. The only downside is that dining options in the area are limited to the handful of similar resorts located on this side of the park. We checked out a few other options but ended up eating every meal in the hotel’s poolside courtyard where the food was adequate if not inspiring. 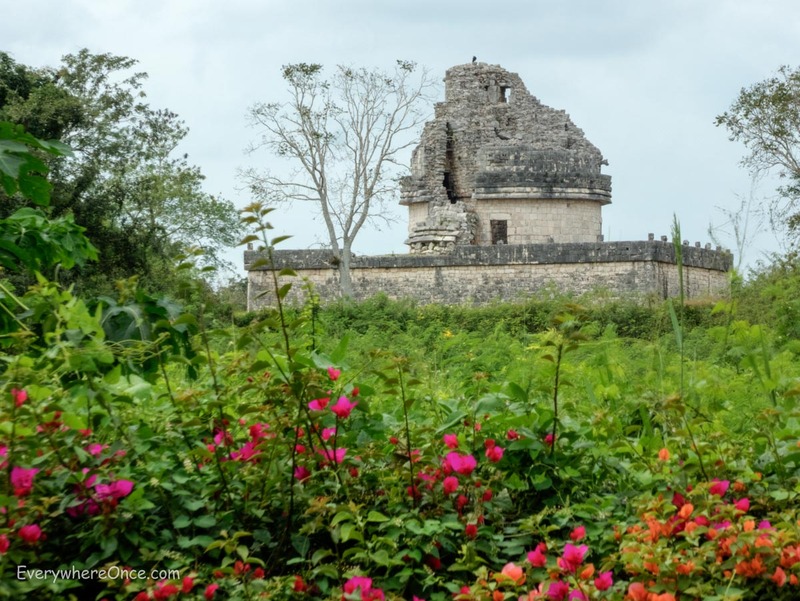 The “El Caracol” observatory temple as seen prior to entering the park’s southern gate. But we didn’t come to Chichen Itza for the food. We came to explore the ruins. So the following morning we made our way to the entrance gate just before opening at 8:00 AM. At that hour we stood second in a line of about six people and waited to pay the two separate admission fees of 65 pesos (US $3.60) and 132 pesos (US $7.30) per person. Shortly after scanning our tickets we were in the park walking past still empty checkpoints and vendors who were only just starting to set up their stalls. We were among only a handful of other tourists in the park. And in this one instance, I’m not quite sure how much beating the crowds really mattered.